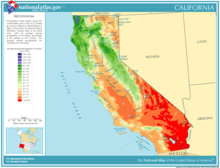 The climate of California varies widely, from hot desert to polar, depending on latitude, elevation, and proximity to the coast. California's coastal regions, the Sierra Nevada foothills, and much of the Central Valley have a Mediterranean climate, with warmer, drier weather in summer and cooler, wetter weather in winter. The influence of the ocean generally moderates temperature extremes, creating warmer winters and substantially cooler summers in coastal areas. During the cooler winter months (October–March), the Coachella Valley regularly has the warmest winter temperatures out of any place west of the Rocky Mountains. East Los Angeles,[clarification needed] the Gateway Cities, and parts of the San Gabriel Valley average the warmest winter high temps (72 °F, 22 °C) in all of the western U.S., and Santa Monica averages the warmest winter lows (52 °F, 11 °C) in all of the western U.S. Palm Springs, a city in the Coachella Valley, averages high/low/mean temperatures of 75 °F/50 °F/63 °F, (24 °C/10 °C/17 °C) respectively during the period of cooler weather from November to April. 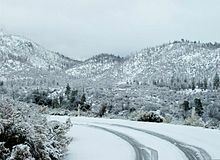 The highest temperature in California is 134 °F (57 °C) in Death Valley on July 10, 1913, While the lowest was -45 degrees in Boca on January 20, 1937. ^ a b "San Francisco Downtown, California". National Climatic Data Center (NCDC) 1981-2010 Monthly Normals. Western Regional Climate Center (WRCC), National Oceanic and Atmospheric Administration (NOAA). ^ "San Francisco Oceanside, California". National Climatic Data Center (NCDC) 1981-2010 Monthly Normals. Western Regional Climate Center (WRCC), National Oceanic and Atmospheric Administration (NOAA). ^ average temperatures in Walnut Creek. ^ Average temperatures in Santa Monica compared to average temperatures in Burbank. ^ "Alturas, California". National Climatic Data Center (NCDC) 1981-2010 Monthly Normals. Western Regional Climate Center (WRCC), National Oceanic and Atmospheric Administration (NOAA). ^ "Bakersfield Airport, California". National Climatic Data Center (NCDC) 1981-2010 Monthly Normals. Western Regional Climate Center (WRCC), National Oceanic and Atmospheric Administration (NOAA). ^ "Bishop Airport, California". National Climatic Data Center (NCDC) 1981-2010 Monthly Normals. Western Regional Climate Center (WRCC), National Oceanic and Atmospheric Administration (NOAA). ^ "Bodie, California". National Climatic Data Center (NCDC) 1981-2010 Monthly Normals. Western Regional Climate Center (WRCC), National Oceanic and Atmospheric Administration (NOAA). ^ "Death Valley". National Climatic Data Center (NCDC) 1981-2010 Monthly Normals. Western Regional Climate Center (WRCC), National Oceanic and Atmospheric Administration (NOAA). ^ "Eureka WFO Woodley Island, California". National Climatic Data Center (NCDC) 1981-2010 Monthly Normals. Western Regional Climate Center (WRCC), National Oceanic and Atmospheric Administration (NOAA). 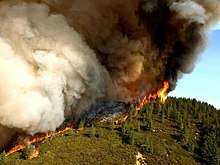 ^ "Fresno Yosemite International Airport, California". National Climatic Data Center (NCDC) 1981-2010 Monthly Normals. Western Regional Climate Center (WRCC), National Oceanic and Atmospheric Administration (NOAA). ^ "Los Angeles Downtown University of Southern California Campus, California". National Climatic Data Center (NCDC) 1981-2010 Monthly Normals. Western Regional Climate Center (WRCC), National Oceanic and Atmospheric Administration (NOAA). 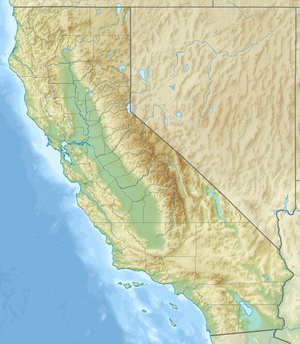 ^ "Needles Airport, California". National Climatic Data Center (NCDC) 1981-2010 Monthly Normals. Western Regional Climate Center (WRCC), National Oceanic and Atmospheric Administration (NOAA). ^ "Redding Municipal Airport". National Climatic Data Center (NCDC) 1981-2010 Monthly Normals. Western Regional Climate Center (WRCC), National Oceanic and Atmospheric Administration (NOAA). ^ "Riverside Fire Station 3, California". National Climatic Data Center (NCDC) 1981-2010 Monthly Normals. Western Regional Climate Center (WRCC), National Oceanic and Atmospheric Administration (NOAA). ^ "Sacramento Executive Airport, California". National Climatic Data Center (NCDC) 1981-2010 Monthly Normals. Western Regional Climate Center (WRCC), National Oceanic and Atmospheric Administration (NOAA). ^ "San Diego Lindbergh Field, California". National Climatic Data Center (NCDC) 1981-2010 Monthly Normals. Western Regional Climate Center (WRCC), National Oceanic and Atmospheric Administration (NOAA). ^ "South Lake Tahoe Airport, California". National Climatic Data Center (NCDC) 1981-2010 Monthly Normals. Western Regional Climate Center (WRCC), National Oceanic and Atmospheric Administration (NOAA). ^ "NOAA Climate Data". National Oceanic and Atmospheric Administration. Retrieved 2019-02-06.